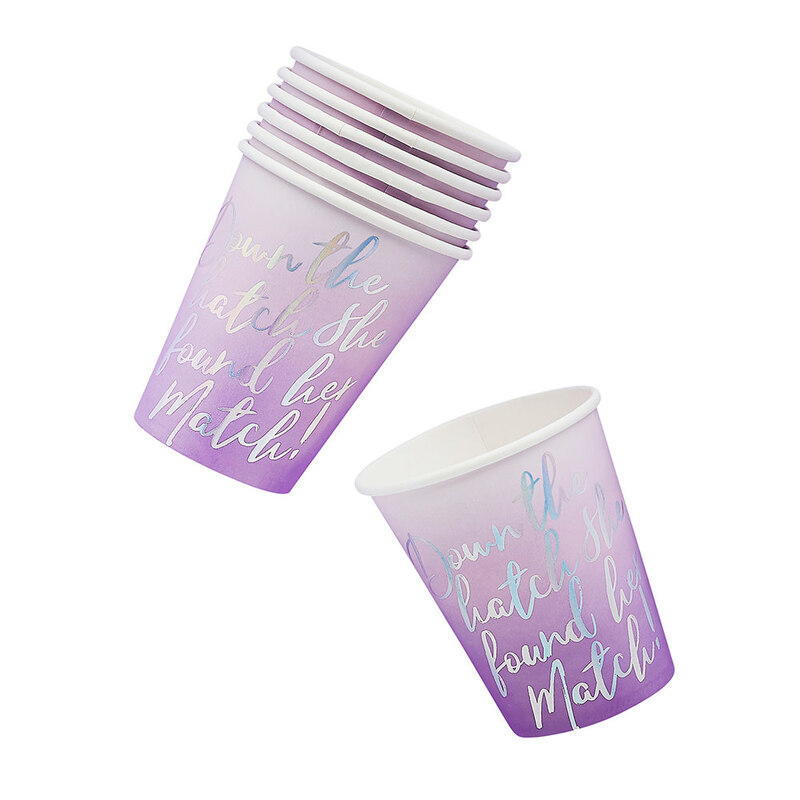 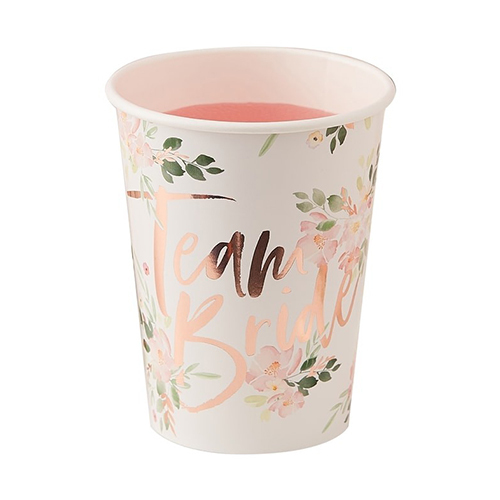 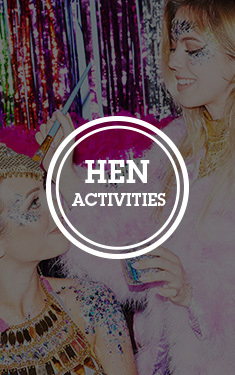 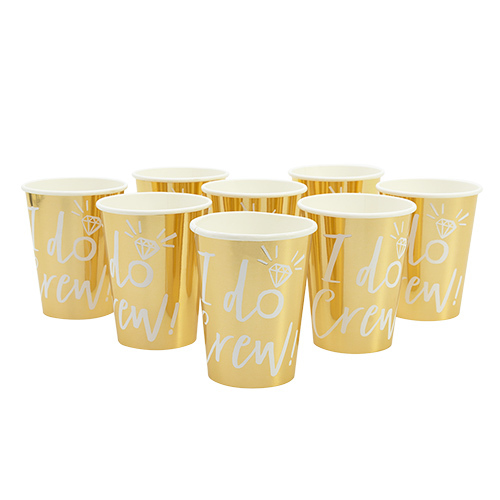 If you’re looking for something for the girls to drink out of on the hen do then these purple paper cups are a great option and fit really well within our purple bride squad collection. 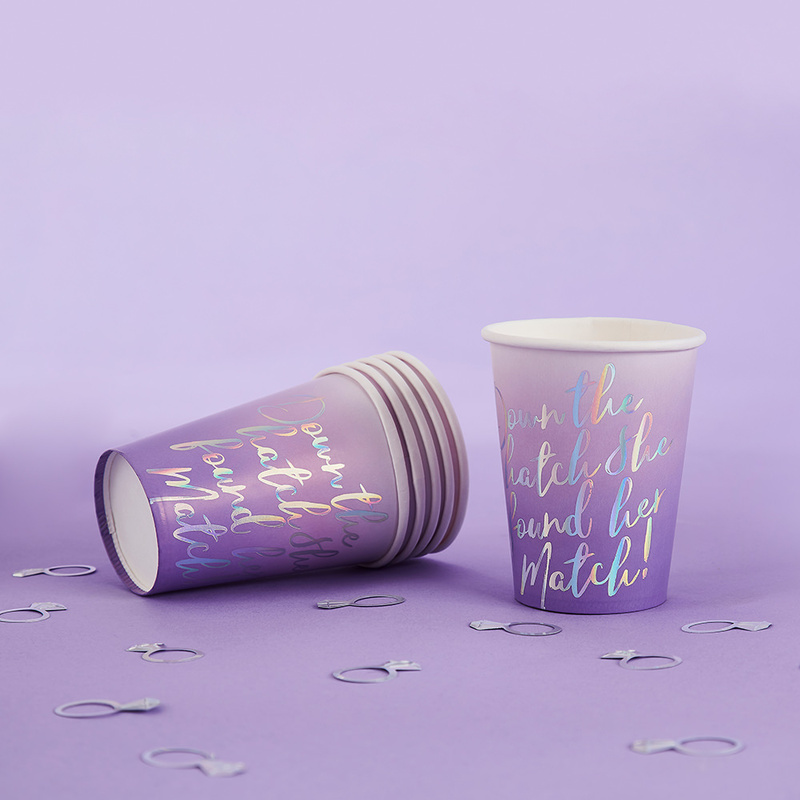 This is a pack of ten cups and the writing on the front, which is printed in a silver iridescent colour says “Down the hatch, she found her match”. 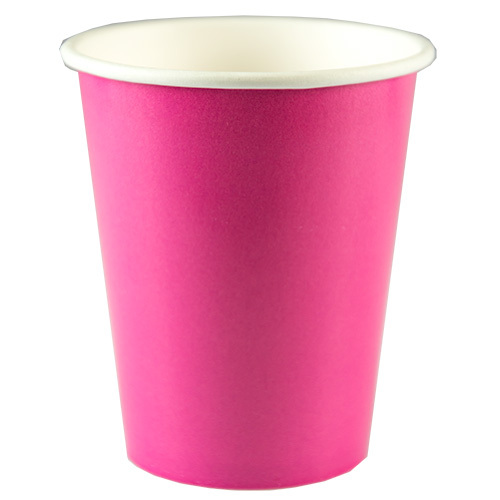 This is a pack of ten cups and they measure around 10cm high and 8cm wide at the top. 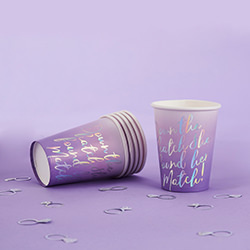 The purple colour fades from a deeper shade at the bottom to a lighter one at the top and the writing shimmers under the light making it really stand out.